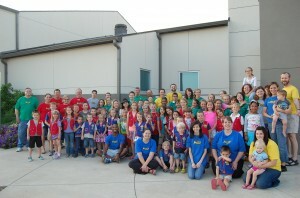 AWANA Club on Tuesday nights during the school year!! In a culture that constantly finds children playing computer games, surfing the web, or watching TV, Centerpoint Church’s Awana club seeks to give kids another option. By using high-energy games and thoughtful interactions, our Awana club leaders give kids something else to occupy their minds–sound biblical truths and good moral values. At these ages when kids are most impressionable, we believe it is critical that they learn about the most important of all books–the Bible–for their most important of all journeys–their lives. Dynamic fun for children, teens and adults alike!